Χάρτης της Κύπρου του Α. Ορτέλιους. 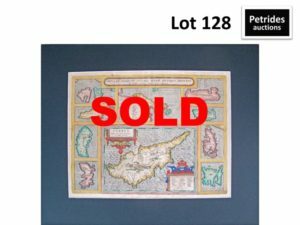 Abraham ORTELIUS , “Insular . Aliquot Aegaei Maris Antiqua Descrip . 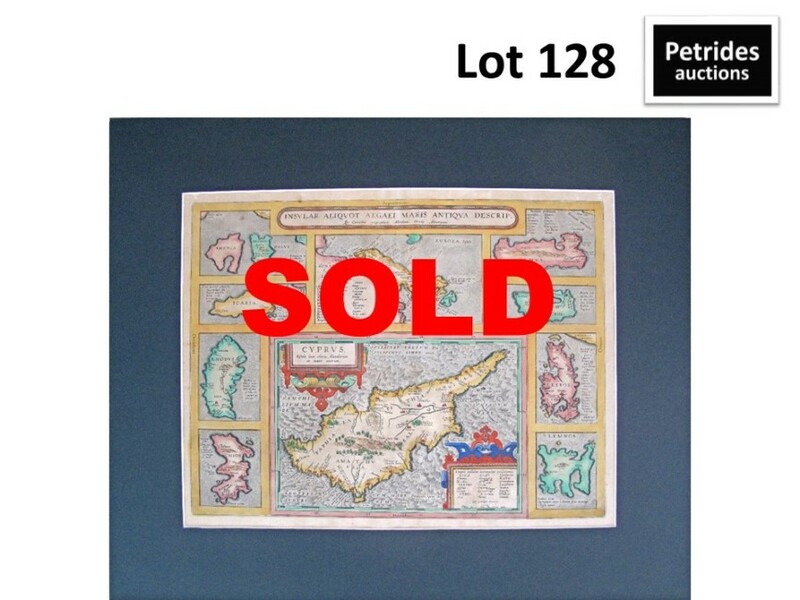 “-“Cyprus Insula laeta choris , 360x470mm in the parergon – Theatrum Orbis Terrarum. Copper engraved map of Cyprus surrounded by Greek islands, Antwerp 1584 . Verso Latin text. Coloured. Drawn by Ortelius himself, this map shows Cyprus with nine insets of other Greek islands. It was first published by Ortelius in Additamentum III and as of 1584 it was included in the Parergon, a supplement to the Theatrum. The map contains ancient toponyms. The present edition comes from the original of 1584.